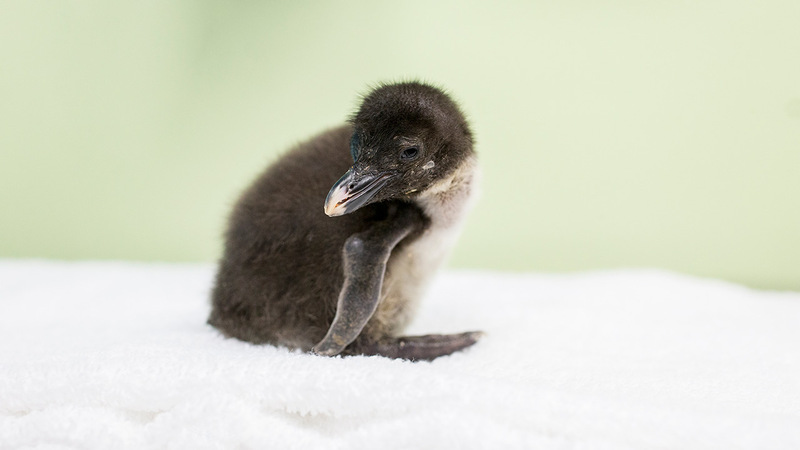 CHICAGO (WLS) -- The Shedd Aquarium is now the home of a new baby penguin chick, Chick #23, that hatched on June 9. The Shedd Aquarium is now the home of a new baby penguin chick, Chick #23, that hatched on June 9. The chick, who will be named at a later date, weighed 57 grams at birth and was born to parents Edward and Annie, Shedd officials said. The chick's gender will also not be revealed until a genetic test is performed after it reaches a year old. Chick #23 most recently weighed in at a lofty 200 grams and its attempting to groom itself - the Shedd's animal care team says both are signs of growth. The baby chick will continue living in its parents' nest in the Polar Play Zone before wandering on its own in another month or so, officials said.